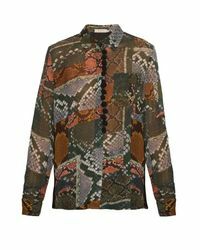 We check over 450 stores daily and we last saw this product for $224 at MATCHESFASHION.COM. 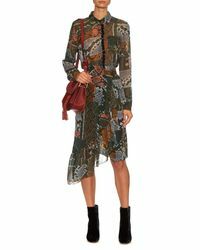 Preen Line's Pre-AW16 collection exudes the tough romantic spirit of its musical muses, Kate Bush and Jennifer Herrema. 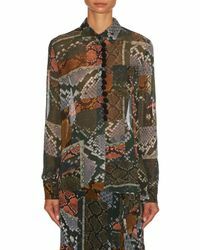 This tonal-green, brown, and grey crepe Beth shirt comes in a patchwork snake print, and has a breezy fit that's decorated with artful pompom embellishments at the placket. Echo the presentation styling and team it with the matching ruffled skirt. 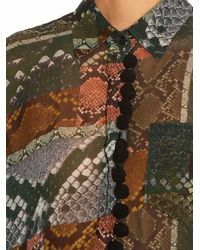 Tonal green, brown, blue and black, lightweight crepe. 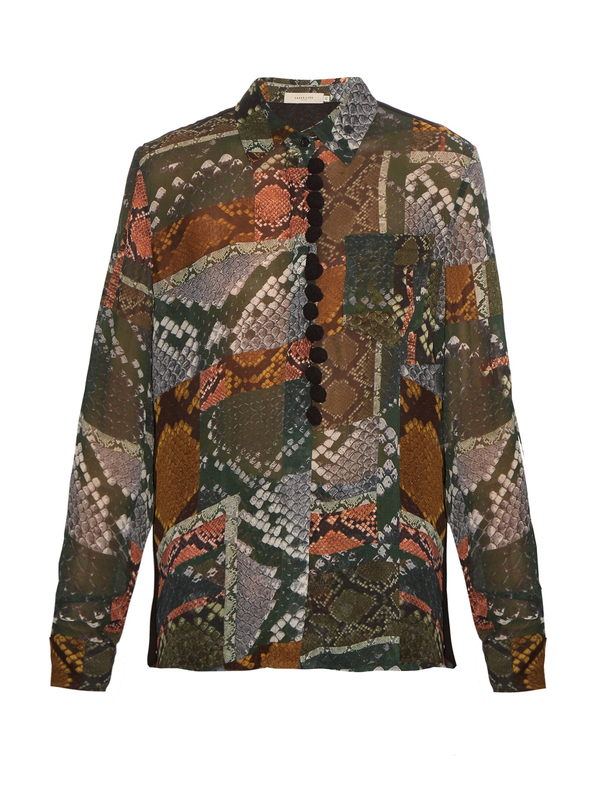 Patchwork snake-print. Point collar, long sleeves, button-fastening cuffs. Front-chest pocket. 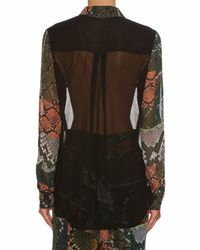 Black sheer back, centre-back pleat. Centre-front black pompom embellishment. 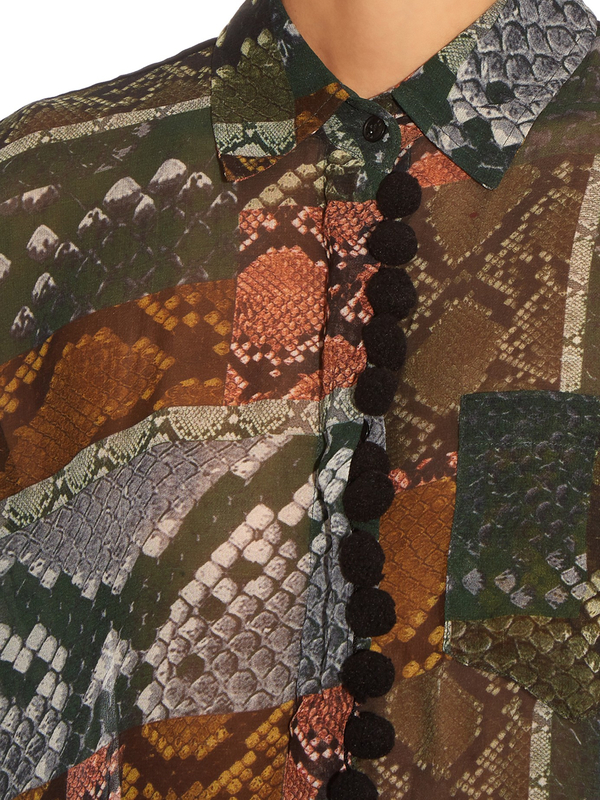 Centre-front concealed-button fastening. Curved hem. 100% viscose. Dry clean. 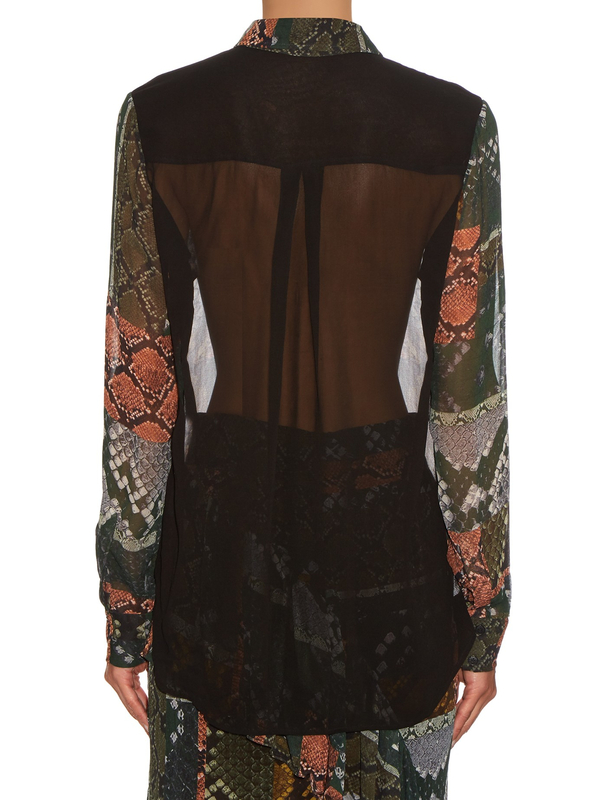 Drapes loose over the body, relaxed-fitting sleeves.